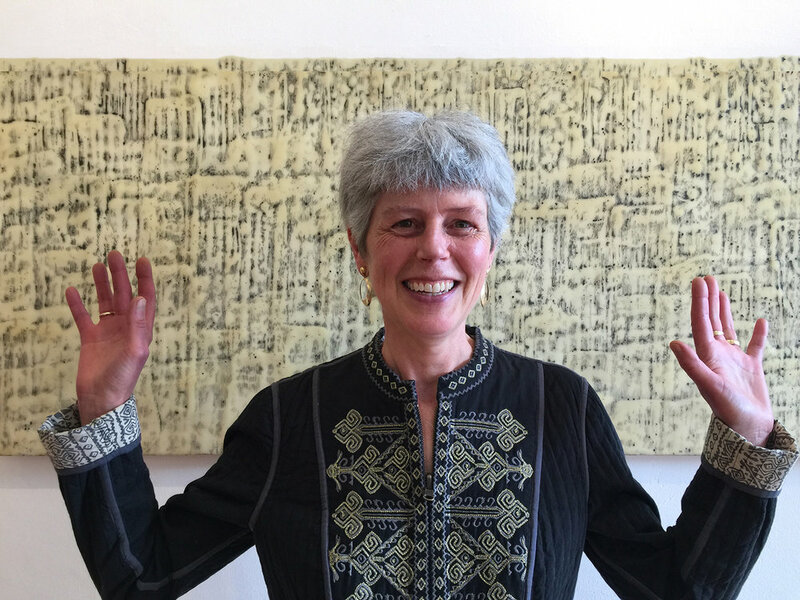 And our very own fantastic gallery owner, Anne, standing in front of a piece by Mari Marks. We had a fantastic opening. Our encaustic show will only be up for one more week, so if you haven't already seen it, be sure to come by next Thursday, Friday, or Saturday, 12 - 6.